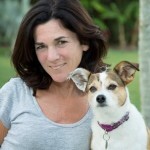 Dr. Weiss has focused her professional and personal life on improving welfare for animals. Dr. Weiss, a Certified Applied Animal Behaviorist, was the Curator of Behavior and Research at the Sedgwick County Zoo. There she developed enrichment and training programs for many different species—from lions and Komodo dragons, to African hunting dogs and giant cassowary birds. She published research focused on decreasing stress and improving welfare in zoos. During this time, Dr. Weiss also continued to develop assessment tools for shelter animals, first developing the SAFER assessment, a behavior assessment used by shelters throughout the country, and then developing Meet Your Match™ now an ASPCA program. Dr. Weiss, joined the staff of the ASPCA in July of 2005. She is the Co-Editor of the Journal of Applied Animal Welfare Science, and has published extensively in the field of applied behavior including the new textbook she co-edited titled Animal Behavior for Shelter Veterinarians and Staff. She has traveled across North America lecturing on various areas of applied animal behavior, and has been featured nationally on radio, TV, and print. Recently, Dr. Weiss’ work has focused on researching, publishing and developing program and process to improve animal welfare in shelters and communities. © 2016 · Animal Behavior Associates, Inc.